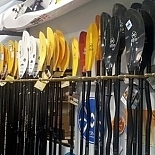 Nautical Ventures has the largest selection of new and used kayaks and SUP’s anywhere under one roof in South Florida. Our huge Dania Beach and North Palm Beach Marine Superstore Store is located right on the water for your paddling convenience. Come check us out! 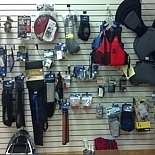 Our Store is a full-service shop carrying a complete selection of paddling gear for kayakers, canoeists, and paddle boarders. Paddles, life jackets, spray skirts, SUP leashes, water wear, compasses, boat carts, dry cases, nautical charts, safety gear, and much more! 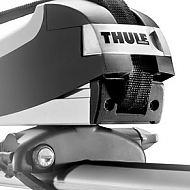 We proudly offer Thule racks and components for easy and safe transportation of your toy onto almost any vehicle. 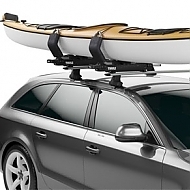 We also carry foam-block systems, Malone rack accessories, and many other options to help you get your kayak and SUP to and from the water. 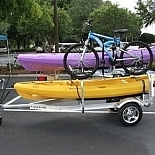 Broad line of canoe and kayak carrier attachments.